I received Sitecore 8.2 EXE file and was trying my hand with new features of Sitecore 8.2. I created web project in Visual Studio 2013 with .NET framework 4.5. I copied Sitecore.Kernel.dll and Sitecore.Client.dll from Sitecore 8.2 bin folder and included their reference in my web project. I write below test code and at design time it looks fine to me. I was trying to figure it out what is the problem and how to fix it? So I was referring higher version of DLL in lower version of .NET framework Visual Studio project which obviously not allowed by any framework. We have to create our web project in .net framework 4.5.2 or higher version. This action redirects you to framework download page. 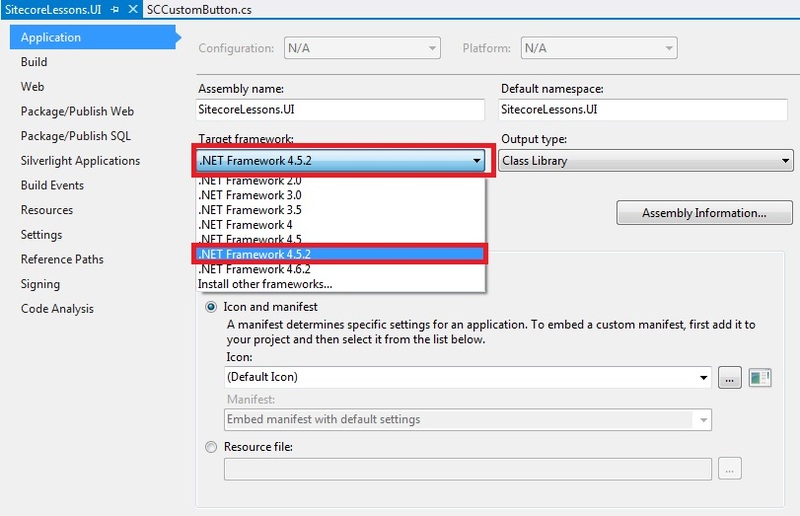 I installed first framework 4.5.2 and then framework 4.6.2. 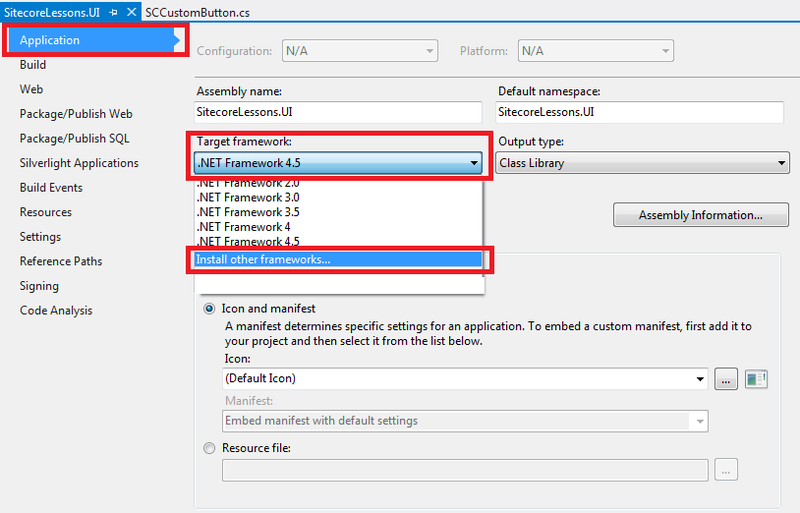 I change my Visual Studio project version from 4.5 to 4.5.2. 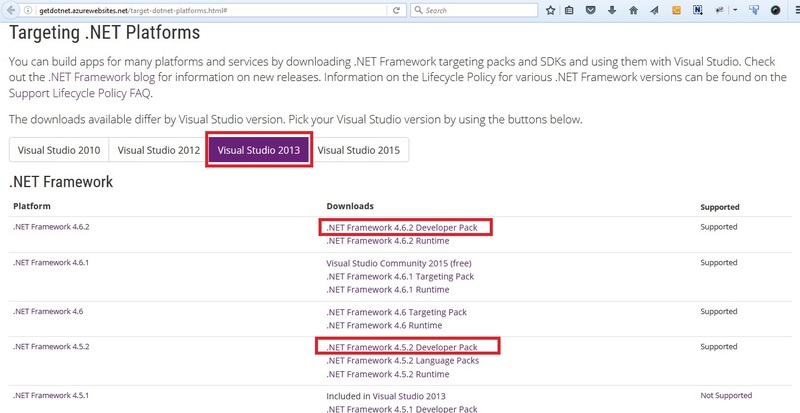 Ignore Visual studio warning on framework version change. This action include web.config file in our web project. Note:- Make sure to delete this new web.config file otherwise on build this config file replace our web.config file in publish folder which crash your Sitecore instance. 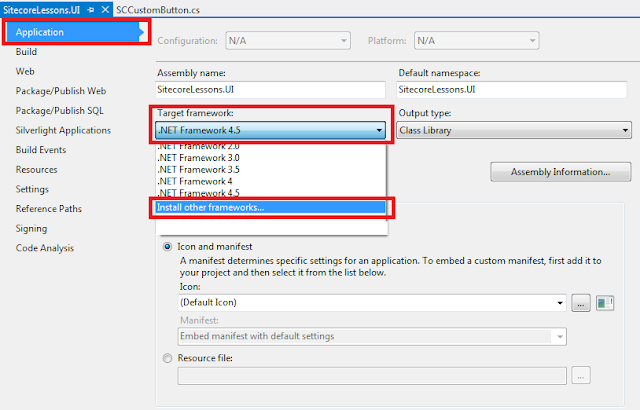 If you have Visual Studio 2013 and want to work with Sitecore 8.2, make sure you have created your web project in .NET framework 4.5.2 or higher. This is another Sitecore learning lesson for me. Please leave your comments or share this learning lesson if it’s useful for you.